Tuesday February 26, 2019 - Director of Criminal Investigations (DCI), George Kinoti, has summoned over 100 people for questioning over the Sh63bn Arror and Kimwarer multi-purpose dams in Elgeyo Marakwet County. In a statement to Kenyans on Monday, Kinoti listed 27 companies and more than 100 directors, who he wants questioned over the controversial dams that are thought to have cost the taxpayer billions of money in dubious deals. In the scandal, senior government officials were demanding kickbacks of up to ten percent of the total tender value from both Italian and Chinese construction companies. Last month, Kinoti flew to Italy where he gathered evidence over the officials who were bribed by the Italian firm that was constructing three dams in Rift Valley. CMC di Ravenna was the company awarded a tender to construct three dams in Rift Valley at a cost of Sh Sh104.5 billion. The officials told Kinoti that they bribed four Cabinet Secretaries with Sh 15 billion for them to approve the tender. 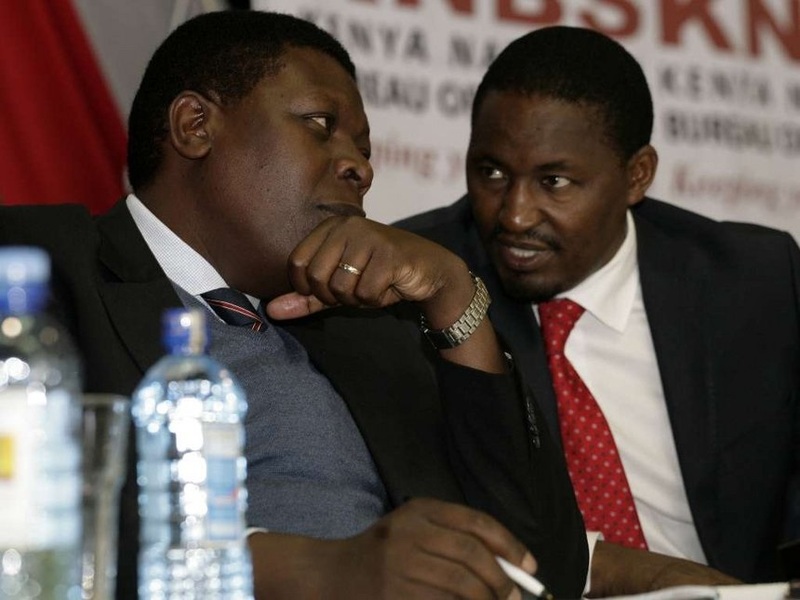 The four are Water and Irrigation Cabinet Secretary, Simon Chelagui, Treasury Cabinet Secretary, Henry Rotich, Devolution Cabinet Secretary, Eugene Wamalwa and Agriculture Cabinet Secretary, Mwangi Kiunjuri. The named persons must step aside.